Home » How Do Burglars Decide Which Homes to Target? In 2016, there were nearly eight million property crimes in the US, resulting in $15.6 billion worth of losses. If you’ve ever wondered how burglars decide which homes to target, read on. We dive into this subject and provide you with all the information you need to reduce your risk of falling victim to property crimes. Most thieves target homes that look easy to break into. They often pick a house by surveilling the neighborhood and finding the one with the most predictable patterns of when people come and go. They also look for properties in more rural or isolated parts of the neighborhood, and houses that are well maintained or have fancy cars in the driveway. Former police officer Alexia A. Chianis says, in her experience, burglars look for the easiest way in: through an open window, an unlocked door, or even a pet door (though seeing a dog on the premises can deter a potential burglar). Most burglars enter houses through those entry points as well as the front door, the back door, or the garage. Burglars want their jobs to be as easy as possible, so if they know you leave for work at 8 a.m. every day and don’t return until 6 p.m., they’re most likely to strike when you’re gone. Summer is the high season for break-ins because many people take summer vacations while their kids are out of school. Many people go on vacations over the major holidays, too, making their homes prime targets for theft. Savvy burglars pay attention to what you’re posting on social media. Many people love to post pictures and status updates while they’re enjoying their time away, but these insights make your home a prime target for a break-in. If you leave a door or window unlocked, it’s easy for a burglar to walk right into your home. And a glass front door may look lovely, but thieves can smash the glass, then simply reach in and unlock the door to get into your house. A burglar can also pull out your window-based air conditioner and climb through the open space. Others will bring tools such as a crowbar, a credit card, or a bump key. A bump key is like a skeleton key and enables a burglar to pick your lock quickly. You likely have precious valuables, family heirlooms, and other priceless (or at least meaningful) objects you’d like to keep for years to come, so how do you prevent your home from being burglarized? The best way to help protect your home from burglars is to install a home security system. Just putting a security sign in your yard can be a deterrent, but a full system is more beneficial. For example, if an alarm goes off when your door or window opens, chances are low that a criminal will continue breaking in to your house. With security cameras, you can keep an eye on your home from anywhere with a live video feed to your mobile device, allowing you and the security company to react quickly if there is a break-in. Install a steel or metal security door, and make sure you lock it, even if you’re just playing in the backyard with your kids. Don’t leave your pet door open when you aren’t home. Find a good hiding place for your spare key, away from your door or in a lockbox. Put your valuables in a safe and never leave the safe by a window. 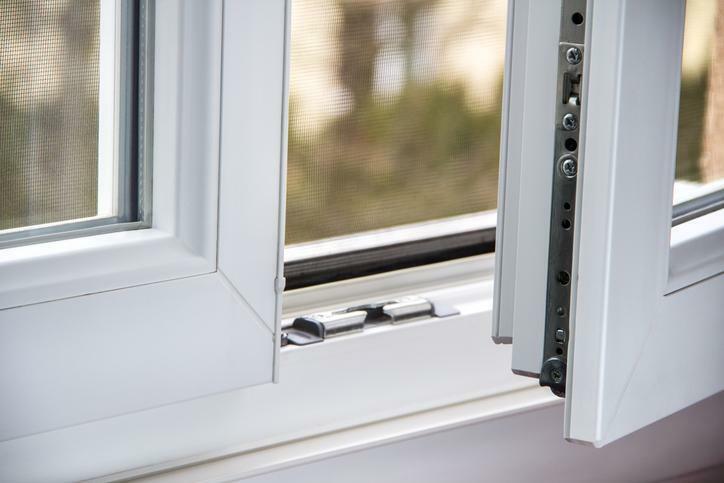 Double-check your windows regularly to make sure they’re locked. Keep your garage doors locked. Install motion-activated lights around your property. Put up a “Beware of Dog” sign, even if you don’t have a dog. Secure your window air conditioner or put it in an upper-floor window. Don’t give burglars a place to hide—avoid tall shrubs next to your house. Change the locks immediately if you’ve just moved into a new house. Set up timers for the lights in your house. Hire a house sitter or ask a friend or family member to stop by regularly. Don’t post vacation photos on social media until you get back. Thinking about someone breaking into your home can be scary, but the more protected your house seems to be, the less likely a burglar is going to take an interest in it. Whether it’s triple-checking your windows and doors or just being a little quieter about your big vacations, taking a few precautions can go a long way in keeping your home (and your valuables) safe.